Samsung’s got another press release for us this morning, this time regarding the updated Galaxy S Advance. It’s now scheduled to launch in the UK from April 30th, across “a variety of networks” including Vodafone. The S Advance is a decent looking model, offering a 1GHz dual-core processor, 4″ Super AMOLED display running at 480×800 resolution, dual cameras (5MP and 1.3MP) with 720p film capture, plus there’s a 1,500mAh battery inside. 26th April 2012, London, UK – Samsung Mobile UK has today announced the Galaxy S Advance will be available in the UK from 30th April. Joining Samsung’s Android-powered Galaxy portfolio, the Galaxy S Advance boasts the same sleek and stylish design of the award-winning Galaxy S II. A dual-core 1.0GHz processor and HSPA 14.4 Mbps connectivity means owners of the Galaxy S Advance can enjoy a highly responsive interface and super-fast speeds when browsing the web and downloading content, as well as smoother screen transitions and faster image processing. Featuring Android Gingerbread and Samsung’s TouchWiz user interface, the Galaxy S Advance allows users to stay connected at all times through Samsung Hubs which offer access to music, books and games. Samsung’s own cross-platform communication service ChatON offers easy instant messaging and group chatting and allows content to be shared in multiple formats to make messaging simpler and more intuitive. Owners of the device will also benefit from its Find My Mobile feature, a lost-phone management system that enables customers to trace their missing device directly via the Internet or even delete the device’s data remotely – ensuring personal information remains safe. 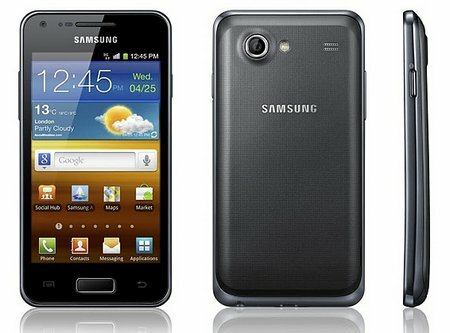 The Galaxy S Advance will be available in the UK across a variety of networks including Phones 4u and Vodafone.